Our phones have become our lives. Many of us claim that we can’t get through the day without using our phones at least a dozen times. We can no longer go anywhere without them because they serve as our calendars, notepads, alarm clocks, and more. However, with the help of these handy accessories, our phones can become even more useful and stylish. We can even be safer in our usage of our phones as well. Phone cases are a wonderful way for avid smartphone users to show off their personality and fashion sense. There are so many different options out there; it can be difficult to decide. That is why one phone case company, Casely, does not make you choose just one. Casely is a subscription phone case service that sends brand-new exclusive phone cases straight to your door every month. That way, you can choose whatever case fits your current mood and change it up whenever you feel like it. For inspiration, be sure to check out all the different Casely iPhone XR cases. Screen protectors are invaluable when it comes to the longevity of your phone. They greatly reduce the risk of the screen shattering when the phone is dropped. Getting a screen protector can save you so much money in the long run because you will have to replace your phone much less frequently. They will also save you from potentially hurting yourself on the glass shards that can poke from your phone screen when it’s shattered. You and your wallet will be much better off with the help of a smartphone screen protector. Tile is the perfect accessory for anyone who is a bit on the forgetful side. This Bluetooth device will help you to find your purse, keys, wallet, or anything else you commonly forget along with your phone. It is a little plastic device that you can place on your item of choice that you often leave behind. If you cannot find that thing, then go on an app on your phone and say that you cannot find it and the Tile will emit a noise until you can locate it. Conversely, if you have your purse with the Tile on it but cannot find your phone, you can press it and your phone will produce sounds until you can detect it. Never lose your most important belongings again with this handy device. Because we are constantly on our phones, they are constantly losing battery. 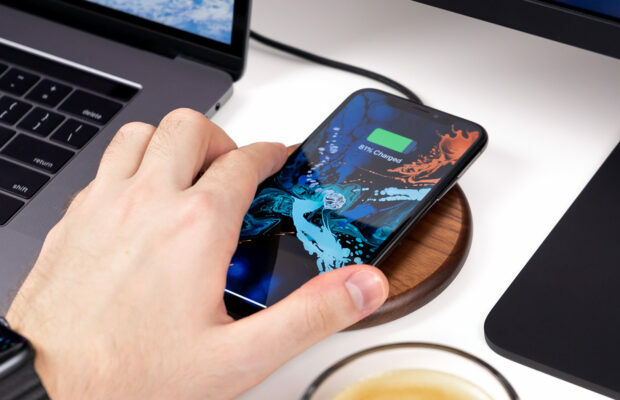 Our phone is no good to us if it is dead, so with the help of wireless fast-charging pads you can make sure that it is always ready to go. These pads do not require a charging cord, and many can charge your phone in less than half the time of a traditional corded hookup. Most of us now use our phones for GPS navigation while we’re on the road, but fumbling for our devices while we are driving is incredibly unsafe. Luckily, with car mounts, our phones can be kept in one place where we can see it and can use it for navigation. These devices are invaluable if you are a driver for Uber or Lyft because working for those companies requires excessive usage of a smartphone while driving. Don’t put your safety in jeopardy for another second while driving. Phones are so central to our lives that it makes sense that we would want to use them to their full potential. Luckily, these useful accessories help us to do just that. If you’re looking to be more productive and safer than ever, then you definitely need to invest in these products.